When will be British Treasure, American Gold next episode air date? Is British Treasure, American Gold renewed or cancelled? Where to countdown British Treasure, American Gold air dates? Is British Treasure, American Gold worth watching? British Treasure, American Gold is a vibrant and original take on the world of antiques and trading. Jesse McClure, self-dubbed ‘Resale King' heads to the UK complete with his 1978 black Pontiac Firebird (named Lilly) to travel the length and breadth of the country searching for antiques and collectibles. He visits stately homes, collectors' markets and even car boot sales on the hunt for typically British curios and valuable artefacts to send back to his family's antique business in Los Angeles.From bone china vases to Elton John's gold plated sink, vintage one armed bandits, armoured military vehicles and Britney Spears's thong! British Treasure, American Gold focuses on the unique and unexpected side of British history, shining an American spotlight on the country's eclectic past.Jesse will put $100k of his family's hard earned cash on the line as he hits the streets in search of the biggest and boldest bargains Britain has to offer before shipping them back to the US in an effort to turn a profit in the family's LA antique store. Jesse heads to an auction to find military memorabilia. He has to pull out all the tricks to win the bids, but will he gamble big on a WW2 top secret document? Jesse goes on the hunt for British automobilia. The search starts small with classic toy cars, but the stakes are raised as he haggles over some money-making vintage signs. Jesse's search for memorabilia starts at a stately home, then a tip-off sends him to Manchester to convince boxer Ricky Hatton to part with some signed gloves. 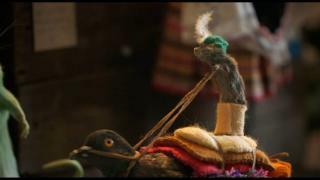 Jesse heads to one of Britain's last curiosity shops, filled with everything unique and unexpected - from Pablo Escobar's gold plated hippo skull to shrunken heads. 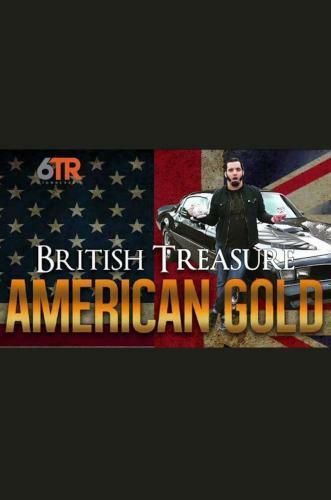 British Treasure, American Gold next episode air date provides TVMaze for you. EpisoDate.com is your TV show guide to Countdown British Treasure, American Gold Episode Air Dates and to stay in touch with British Treasure, American Gold next episode Air Date and your others favorite TV Shows. Add the shows you like to a "Watchlist" and let the site take it from there.